Adobe Flash, HTML5, Android, iOS and Windows. Play’n Go merged in 2010 with another software provider known as Jadestone. Jadestone is the developer of the r Casino Matrix platform which brought great innovation and variety to all Play’n GO casinos. Play’n GO makes use of the company’s patented Maven proprietary software, which is designed for servers that experience large volumes of user traffic. The firm has also placed great efforts on designing software for the mobile platform. They have also created games for the mini-game and widget markets. These products can be enjoyed in ad banners, e-mails and third-party websites. Play’n GO also partnered with the payment solution providers Worldpay making use of the ‘WebDollar’ service. Games can now be played in over 30 currencies and 60 payment methods. Play’n GO offers different types of promotions and focus largely on a comprehensive loyalty point redemption program. The different bonuses can be in the form of match percentages on deposits, free spins, or no deposit bonuses. Play’n GO offers excellent HD graphics, exciting online video pokies and table games. The pokies include retro versions and creative remakes of oldies plus the modern games! The Swedish town of Växjö may not be well known as Malta or Gibraltar, but this is a hub for several small online video slot developers which includes Play’n GO. The company began in 1997 by acting as a sub-contractor to another gaming company. In 2004 they used their experience to break away and became a fully independent company. Initially the focus was on designing simple mobile casino games, subsequently becoming one a world leader in mobile online gaming. Play’n Go proudly received the Mobile Product of the Year 2014 at the 8th International Gaming Awards ceremony at the Savoy in London. They were also runner-up for the categories of iGaming Software Supplier of the Year and Slot Provider of the Year. Play’n Go has talented team members who strive to create first class entertainment by keeping in touch with all the latest technology and innovations. Play’n Go features other games such as variants of blackjack and casino poker. There is a choice of roulette games bingo and scratch cards. 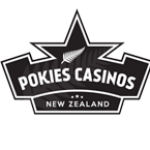 The HD pokie selection offers games for every type of pokie game player. Enjoy a variety of themes from popular comics, movies, and sports personalities. Play Jackpot games or the traditional 3 and 5 reel pokie games. Play ‘n Go offers a smaller ‘bespoke’ range that returns to the ‘golden days’ of real-life pokies such as ‘Super Flip’ and ‘Rage to Riches’. Play’n Go has a number of games with Progressive Jackpots attached to them. There are 3 types of Progressive pots to win; Small, Medium and Large progressive that usually sits around the 100,000 mark. The Progressive Jackpot Wheel is activated by getting 3 or more Golden Circles anywhere on the reels during normal gameplay. Energoonz, Ninja Fruits, Gumball 3000, Leprechaun goes Egypt, Wild Blood, Myth, Keno, Riches of Ra, Triple HiLo, Ace of Spade, Hole in One Scratch, Scratch Ahoy, Casino Holdem, Jackpot Poker, European Roulette, Mini Baccarat, Lucky Diamonds and Wild Melon. Multi software Casinos and bonuses listed on Pokies Casinos using Play ‘n Go Games. Play N Go Mobile Gaming Solutions.